Large vintage French market or gathering basket. Sturdy design and carefully crafted. Woven construction. Probably willow. Nice vintage patina. 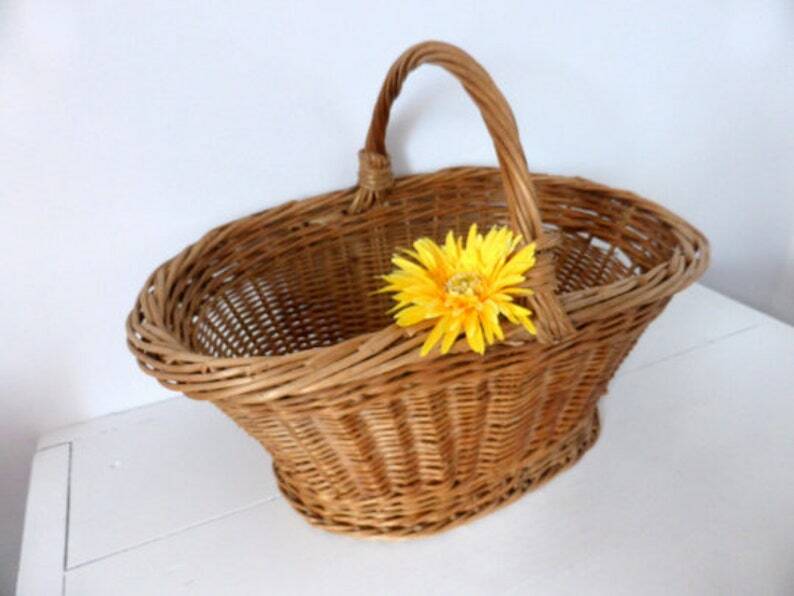 Vintage baskets usually have the odd nick and nibble here and there. This basket is in very good condition. Great market basket or for harvesting fruit and vegetables but would be equally good to display in the home, with linens or magazines, or maybe to store vegetables in the kitchen.